(New pamphlet issued October 1, 2013). For the previous requirements (for Cinematography), Click here. Scouts should NOT earn this badge if they have already earned the Cinematography badge. In a three- or four-paragraph treatment, tell the story you plan to produce, making sure that the treatment conveys a visual picture. Demonstrate the following motion picture shooting techniques. 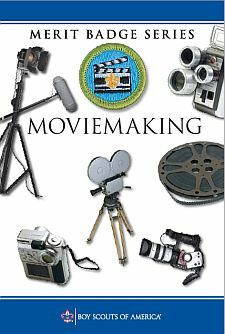 Using motion picture techniques,, plan ONE of the following programs. Start with a treatment, and complete the requirement by presenting this program to a pack or your troop, patrol, or class. Create a short feature of your own design using the techniques you learned. Shoot a vignette that could be used to train a new Scout in a Scouting skill. With your parent's permission and your counselor's approval, visit a film set or a television production studio and watch how production work is done.